On Thursday, October 4, an innovative online learning experience that is transforming the way we learn about and engage with the ocean officially became available to students across Canada. 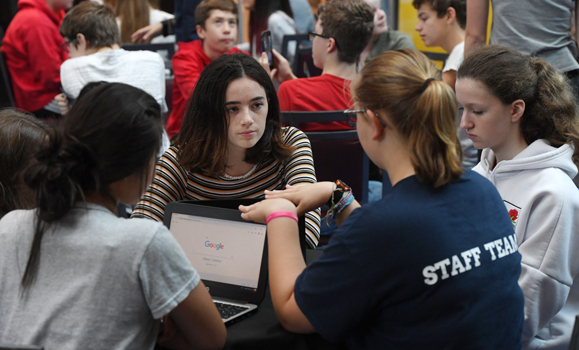 Ocean School combines leading educational technologies with compelling storytelling techniques to immerse youth in the world of ocean science and culture. Guided by young explorers and Dal’s own Boris Worm (Ocean School’s scientific director, as well as a faculty member in the Department of Biology) students are able to join ocean experts as they tackle the complex and increasingly urgent challenges of understanding and protecting the global ocean. Biology prof Boris Worm, scientific director of Ocean School, speaks at the October 4 launch. Founded by Dalhousie University and the National Film Board of Canada (NFB), Ocean School operates in partnership with Ingenium – Canada’s Museums of Science and Innovation, and within Dalhousie, under the auspices of the Ocean Frontier Institute. The work launched on October 4 was created with support from a variety of partners, including Fisheries and Oceans Canada, and the Nova Scotia Department of Education and Early Childhood Development. “As an international leader in ocean research, Dalhousie is proud to be a part of this ground-breaking initiative that will immerse youth across the country in ocean science and culture,” said Dalhousie President Richard Florizone. 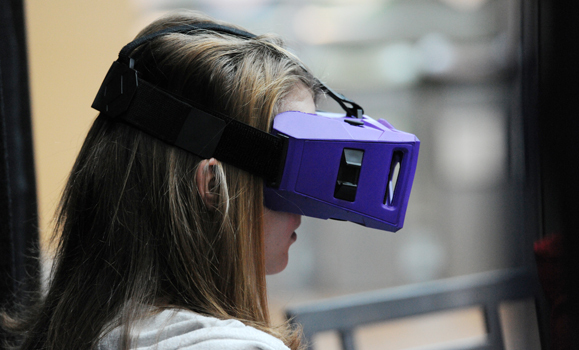 Those on-hand for launch were able to experience the technology first-hand with a group of 25 students from a school in Halifax. 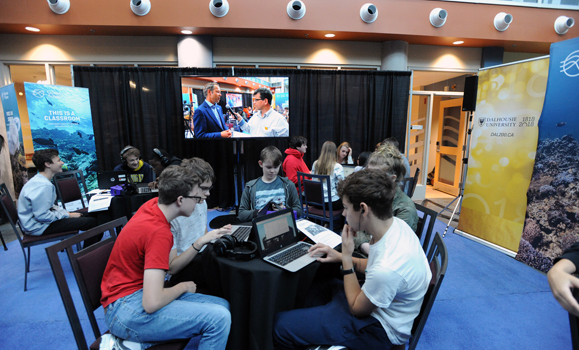 These students participated in the pilot phase of the project in the spring of 2018, and joined the Ocean School team onsite at Dalhousie on October 4 to engage with breathtaking videos, virtual reality (VR), augmented reality (AR), 360-degree experiences, interactive games and other multimedia as they were digitally transported from the classroom to the forefront of ocean research, innovation, industry and culture. 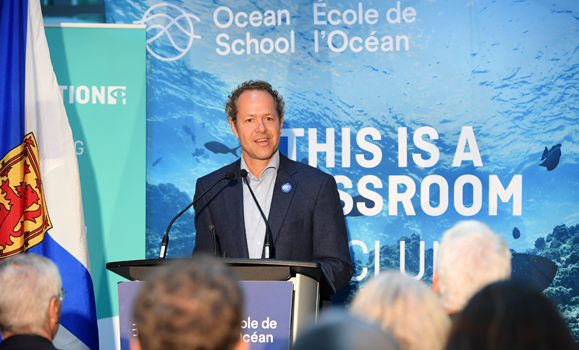 “Young people care about the ocean and understand the urgent need to protect it,” said The Honourable Jonathan Wilkinson, Minister of Fisheries, Oceans and the Canadian Coast Guard in a news release. 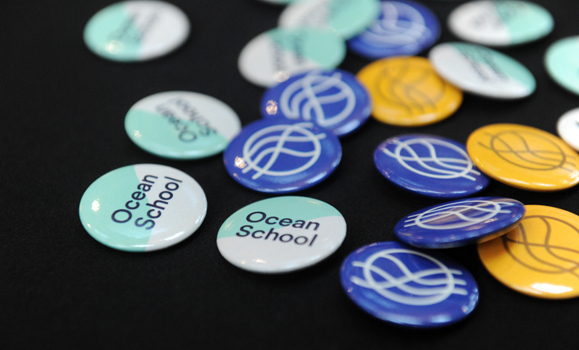 The first unit of Ocean School is based on scientific expeditions in the Canadian North Atlantic. Students will utilize a wide range of learning tools and experiences throughout the unit, such as piloting an underwater robot in the Gulf of St. Lawrence and discovering the history of cod through the eyes of an indigenous artist. Additional Ocean School units filmed in the Canadian North Pacific and off the coast of Costa Rica are currently in production, and will become available to learners in 2019. Future content filmed in the Canadian Arctic and around the world will follow shortly after. Content is freely available at oceanschool.ca, and is fully bilingual. More information about this educational offer can be found at nfb.ca/education.